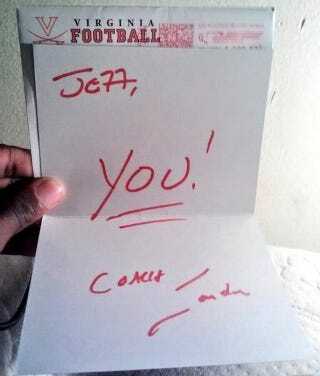 Via Dr. Saturday, DB/WR verbal commit Jeffery Farrar shared this letter from UVa coach Mike London. "I'm not really sure what it means," Farrar wrote. At the very least, it means Mike London knows where he lives. And that should probably make him uneasy.